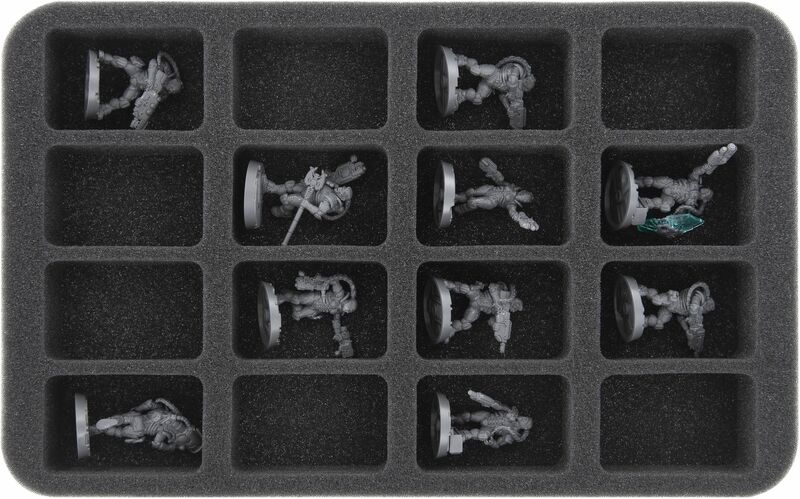 Perfect for Warhammer Necromunda: Underhive miniatures. 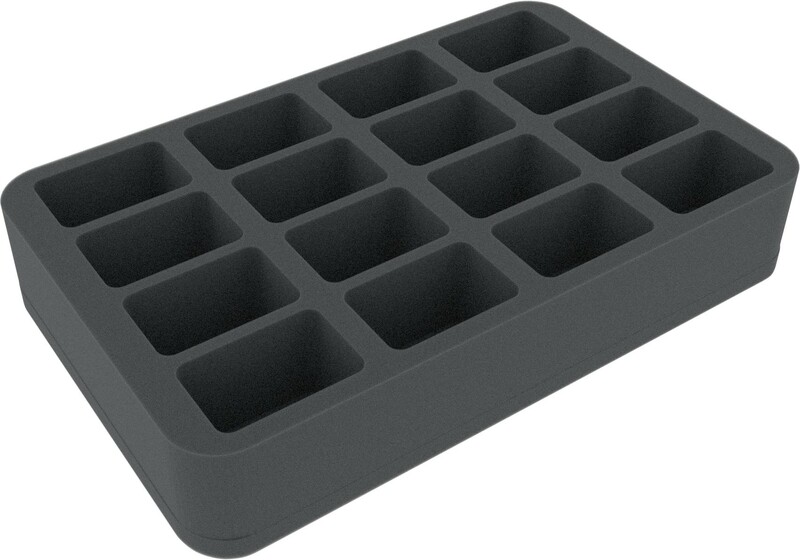 This foam tray has sixten slots. Ready to use. The 50 mm depth of the foam is result from 10 mm foam base and slot foam tray with 40 mm effective depth.